It is important to begin any program or intervention with the end in mind. Sustainability—the ability to maintain at a certain rate or level—is a long-term goal for many health initiatives. Yet programs at all levels and settings often struggle to maintain programming and its benefits over time. And without the ability to sustain a program or intervention, critical improvements in public health and clinical care outcomes can dissolve. To maintain a program or intervention benefits long-term, program staff, in partnership with key stakeholders, must start by identifying the key program components to sustain. Program administrators also must assess the organizational and contextual factors in their setting that could affect program or intervention sustainability. Factors to consider for program sustainability include the political environment that supports, or opposes, your program; a consistent financial base for your program; a continued commitment from your stakeholders; the internal support and resources needed to effectively manage your program and its activities; and the use of data to inform planning and document results, including successes and lessons learned. With knowledge of these critical factors, capacity for sustainability can be built into the planning and development phase to position the program or intervention for long-term success. 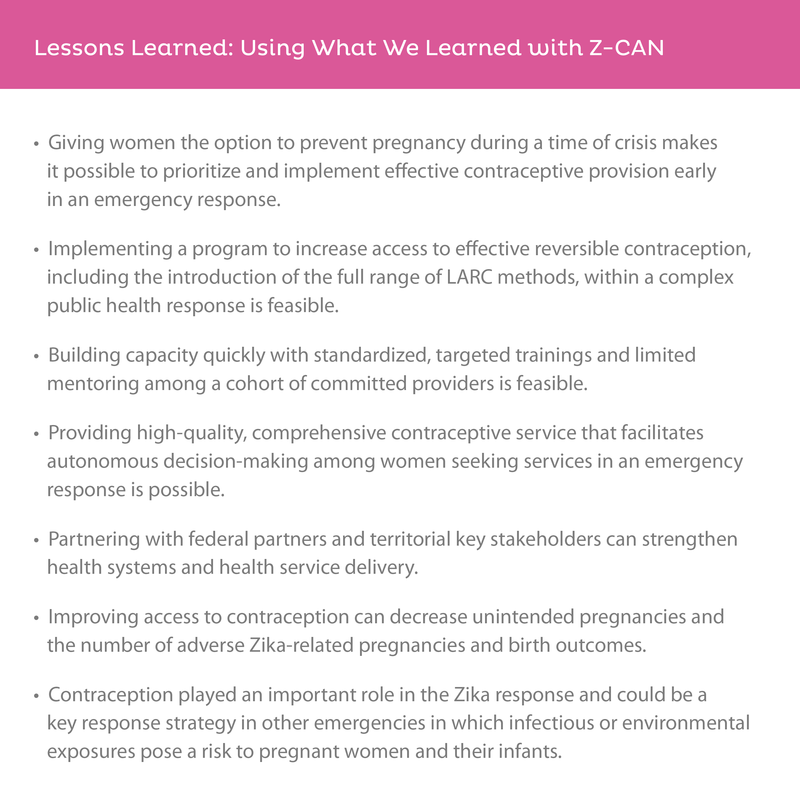 This Section introduces strategies for building program capacity for an effective, sustainable intervention and shares how to apply Zika Contraception Access Network (Z-CAN) lessons learned to other settings. 8.1 Why are partnerships important in planning for sustainability? It is critical to engage and maintain partnerships with key stakeholders in each program phase (planning, implementation, evaluation, sustainability).  Stakeholders are individuals and organizations that have an interest in or are affected by your program or intervention.  Stakeholders often increase credibility of program and sustainability efforts; help facilitate program activities or troubleshoot challenges in the implementation; and may advocate, fund, or authorize continuation or expansion of the program. Strong partnership development was critical in the design, implementation, and sustainability planning of the Z-CAN program. The program was built with a network of partners that included federal agencies, territorial health agencies, private corporations, and domestic philanthropic and nonprofit organizations in the continental United States and Puerto Rico. Based on the needs assessment (See Section 1.1) conducted in the program planning phase and input from key stakeholders, Z-CAN identified contraception access barriers and challenges and developed key strategies to build capacity and sustainability. Stakeholders determined that successful sustainability would be achieved by maintaining the elimination of the most pressing barriers addressed by Z-CAN, including strategies to continue to provide women in Puerto Rico with the full range of contraceptive methods at low or no cost, and with same-day access after the Z-CAN program ended. 8.2 How do we to address health systems barriers for long-term sustainability? 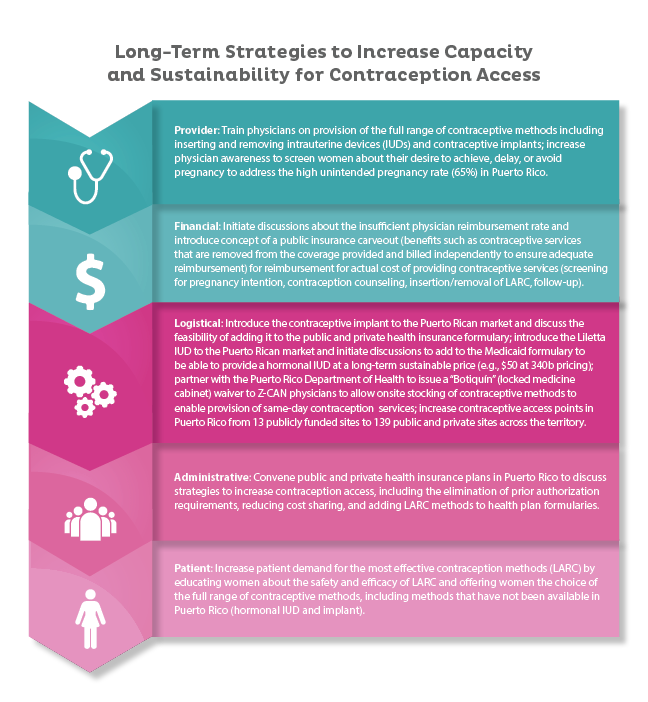 To address health systems barriers to contraception access in Puerto Rico, Z-CAN developed strategies to increase capacity and build long-term sustainability (See Section 2.5). 8.3 How can sharing “lessons learned” help stakeholders sustain a program? Sharing program results with stakeholders, including key strategies, data, success and challenges, and lessons learned, is a critical piece to sustainability. Whether key stakeholders are interested in continuing the full program or intervention, or only key components, sharing all relevant information will make for a smooth transition. It also eliminates the need to re-invent strategies, materials, tools, and resources that already exist. Programs should consider regularly sharing data, success and challenges, and lessons learned with key stakeholders. In emergency response situations, stakeholders who are aware the program will be short-term may be motivated to continue the high-quality contraceptive services provided and plan sustainability efforts within the long-term. CDC and the CDC Foundation shared data, success and challenges, and lessons learned to help transition the Z-CAN program to a sustainable contraception access program led within the territory. CDC continues to be available for technical assistance as needed and requested by the Puerto Rico Department of Health and continues to provide technical assistance to the Centers for Medicare and Medicaid Services- and Health Resource and Services Administration-funded grantees for their respective Zika Health Services grants. These grants have four components; one critical component is to increase access to contraceptive services for women and men. Additionally, CDC continues to provide technical assistance to the Puerto Rico Primary Care Association to support sustainable family planning services among the Health Resource and Services Administration-funded community health centers. 8.4 How can others learn from Z-CAN success? It is also important to share your program experiences and lessons learned with other key stakeholders and in other settings that may be interested in replicating the full or specific key strategies of the program or intervention. Documenting program design and implementation, communications with stakeholders during and after the program, and measurement and evaluation strategies is essential to sharing your experience and expertise with new settings. CDC has provided technical assistance on the key components of the Z-CAN program (See Section 1) to other U.S. territories and within the continental United States among settings with high risk for Zika transmission, including the U.S. Virgin Islands, U.S. Affiliated Pacific Islands, and state and local health jurisdictions, to increase access to contraception in the context of the Zika virus.